Mountains, mountains, mountains, and ocean. That is the upper part of Washington. 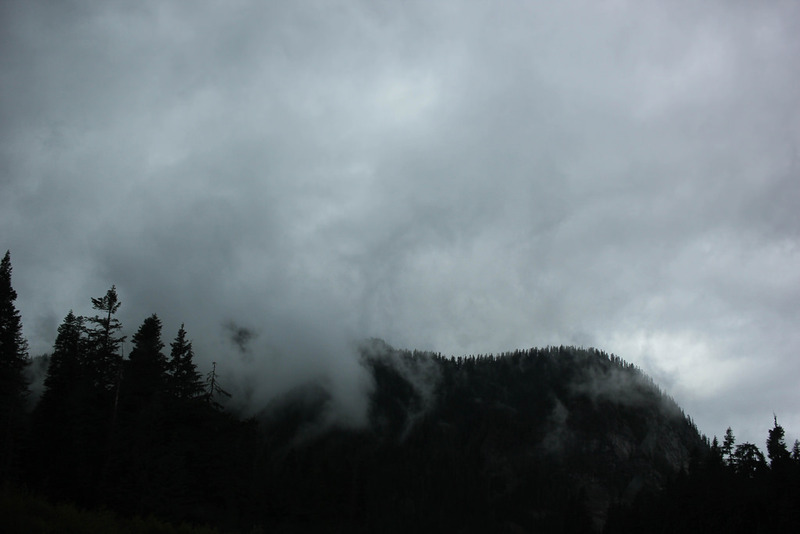 Clouds hug the landscape, and the humidity immediately made my curls larger and more gravity defying. My mum and I got into Anacortes and found a pub, where I drank my last beer on American soil for awhile, and she sipped a Baileys. 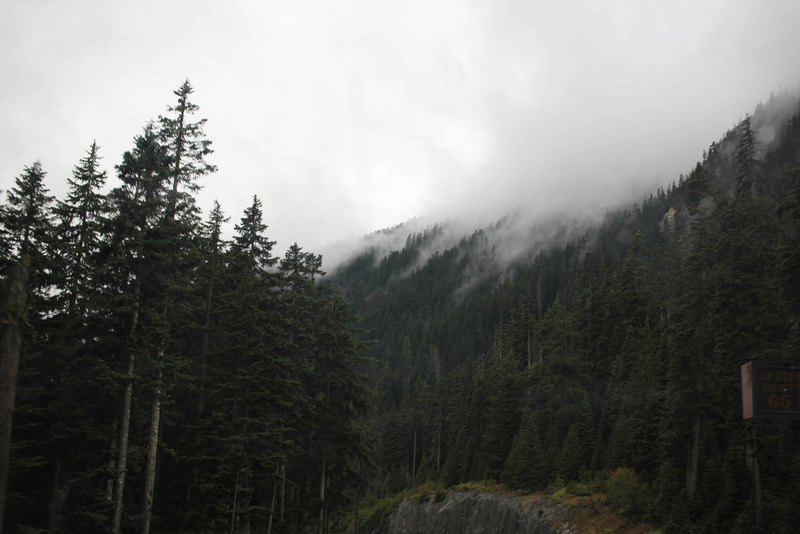 We had drive 14 hours that day, through the smokey wasteland that was Montana and Idaho, into rain soaked, windy Washington. The next morning was ferry time! The truck was loaded, and we climbed up the stairs to the upper decks to prepare for 3 hours of gently rocking boat transport. 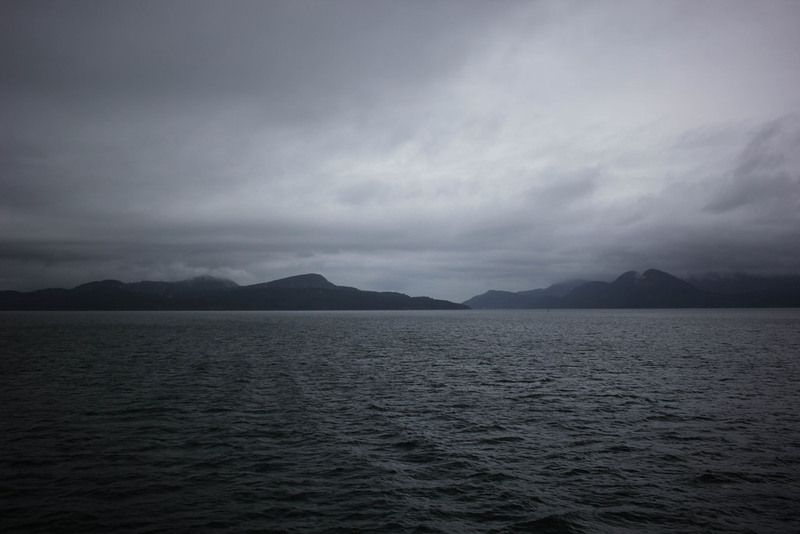 My face was whipped by wind and rain as I stood outside while the ferry navigated through the San Juan Islands. The ferry docked at Friday Harbor, it’s last stop in the States, and then crossed an invisible border into the land of Canada. When we docked, a border officer asked us what we were there for. The rumor that Canadians are crazily nice is true, even when they have guns holstered to their sides and are bedecked in black uniforms. Within 30 minutes I had the most ridiculous, embossed visa stapled into my passport- it was literally an 8.5×11 piece of fancy paper. I laughed- visas are normally pasted on a single page of your passport, and now mine was fat with a folded visa that was about six times larger than most. Canada, you’ve got a lot of land, a lot of resources, and a lot of nice people, why do you need such large visas? When I showed it to Hannah over Skype she almost cried laughing because it was so absurd. I will share photos of Victoria soon! I’ve been walking all over town, finding parks, paths, and the harbor, along with restaurants my student budget will not allow me to try. 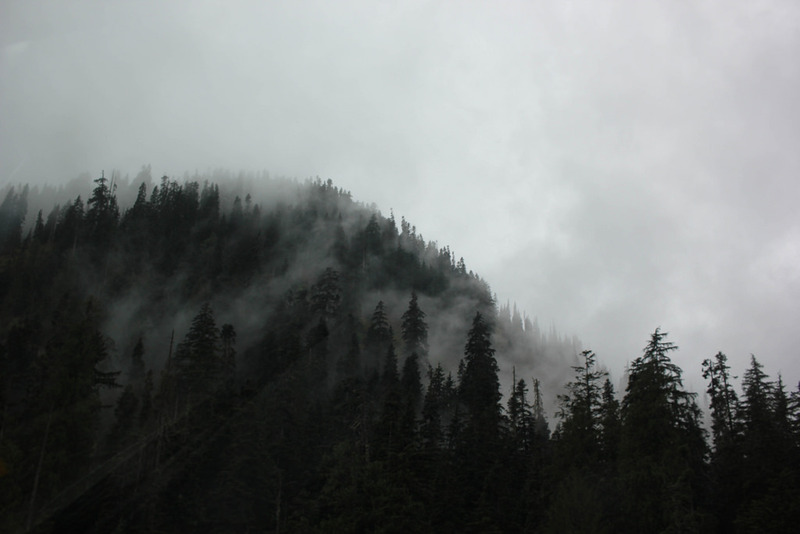 This entry was tagged Adventure, Canada, Canon, Moving, Photography, San Juan Islands, Snoqualmie Pass, Travel, Victoria. Bookmark the permalink.